The Project Chess team at IBM shows a prototype microcomputer to their corporate management. Management gives approval for the team to build an operational computer within a one year deadline to compete in the rapidly emerging personal computer market. 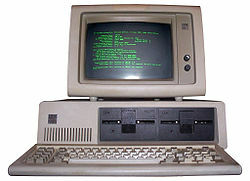 One year and 4 days later, the IBM PC is introduced to the world and the rest is history.